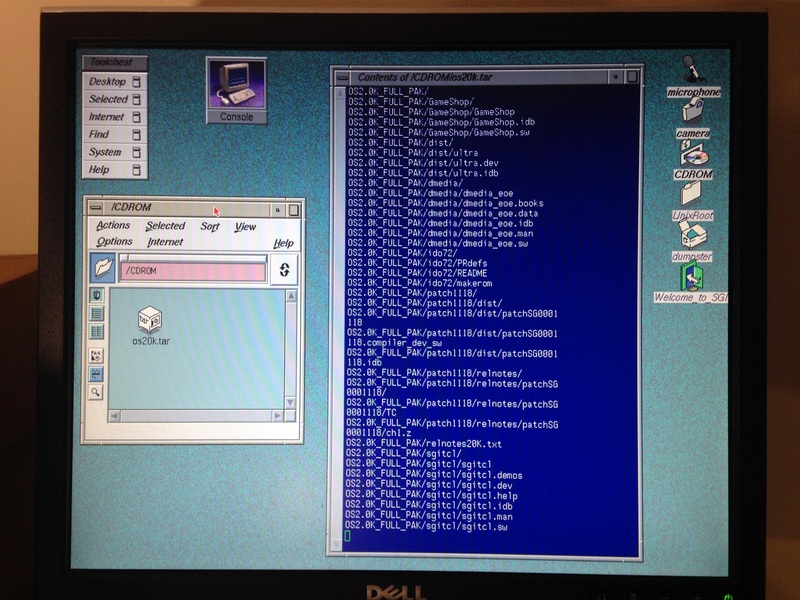 Installing the SGI INDY - Ultra64 Development Board + N64 SDK software!! I'm here to get some help to install the necessary N64 OS/SDK software for the SGI INDY, in order to use the "ULTRA64 Development GIO option board". I recently received alot of help from the members here to install the IRIX V6.5 OS on a SCSI2SD adapter for one of my INDY machines. I'm new to to the world of SGI hardware and software. In turn, I've been stumbling around and just reading everything I can about these Unix based systems. My background is primarily Industrial Robotics, digital electronics, and Embedded systems. I really love the old school Altera MAX CPLD's from the 90's. The Hobby side of me surrounds all these areas, along with a bit of Nintendo N64 Development in the mix. 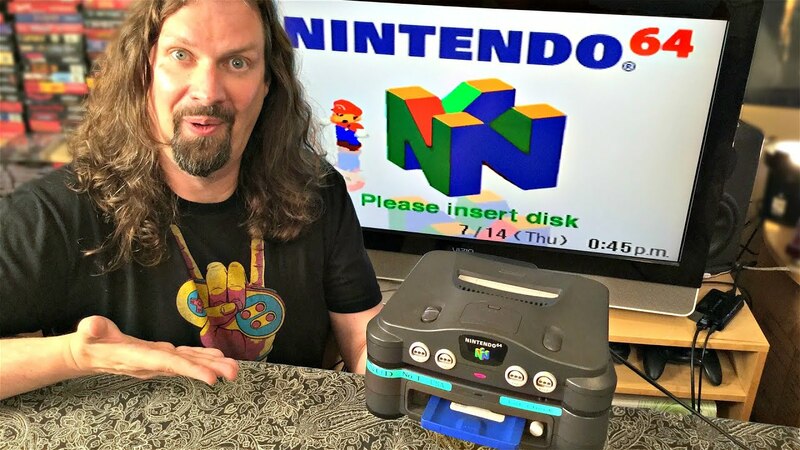 I fell into this Hobby after I saw a video by the YouTube user "Metal Jesus Rocks"
At the time he had found an Ultra RARE "64DD Prototype addon unit" for the US N64 console..... at a garage sale!! Since then, I've been around the N64 Homebrew scene...just messing around writing code and working with various pieces of Dev hardware, and just having fun with it. A little over a year ago, I shared a massive collection of N64 related Dev CD's that I acquired and are now being hosted on the http://ultra64.ca/ Website....so you can check them out if you are thinking of getting into N64 development. 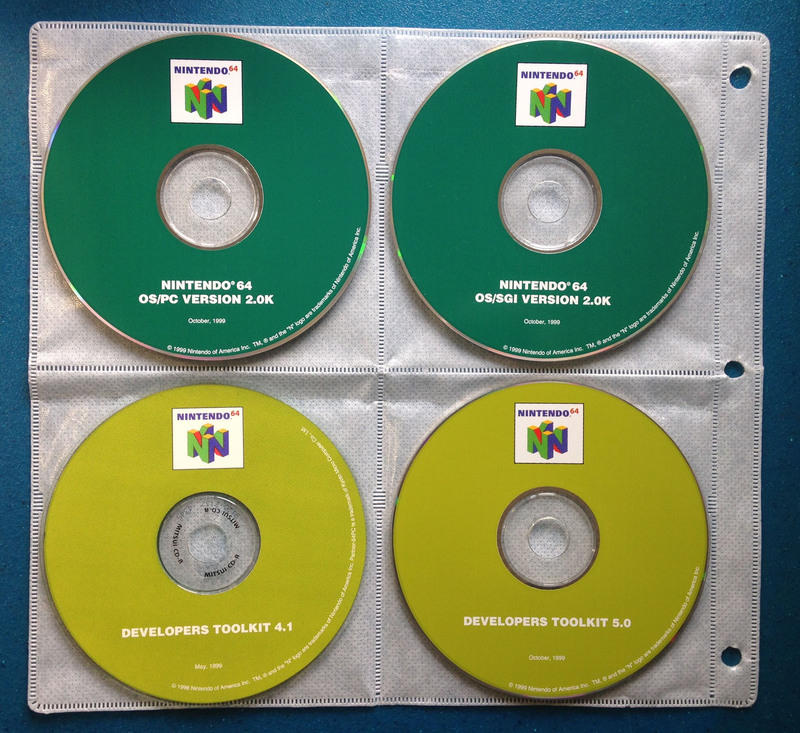 We've also been adding manuals, DOS software tools... and pretty much everything and everything we can find related to N64 development. I'll also have to install the N64 Developers Toolkit, but that will be next. I inserted the N64 OS CD into my Indy CD-ROM and I get the following ".tar" file to display on the screen after clicking on the CD-ROM icon which was on the Desktop screen. I have chatted with a few people already and they have been saying I need to copy the "N64OS2K.tar" file over to the hard drive first...? 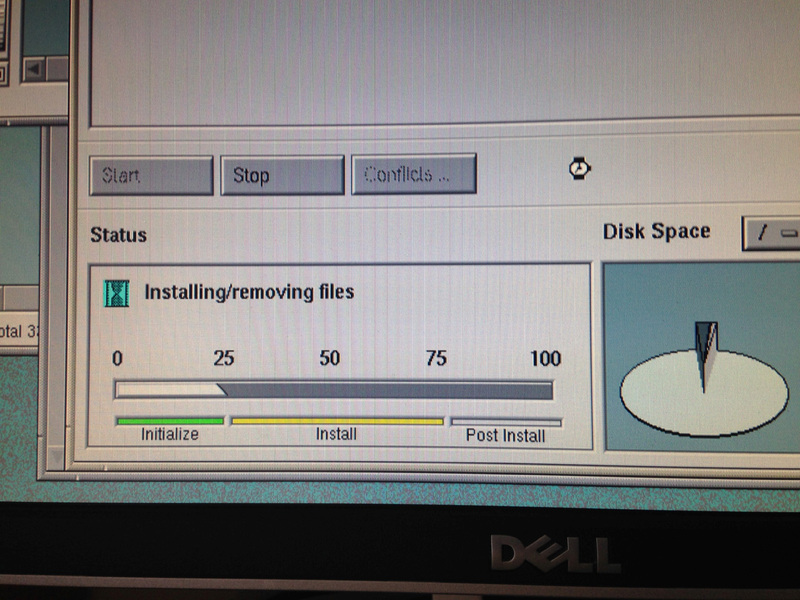 and then extract it and install it using the Indy installer if it has a "/dist" folder. If not... I have to check for an install.txt file and check for the install instructions.... or look for an "Install.sh" script. 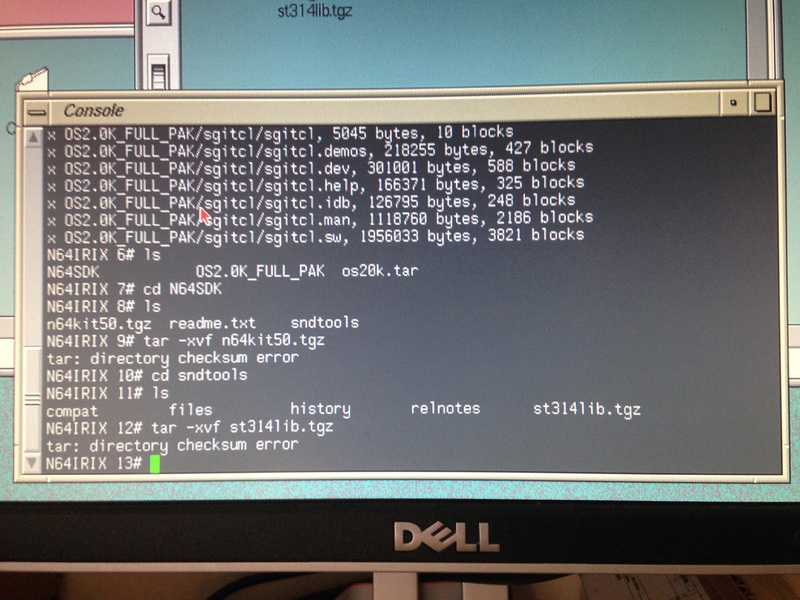 I was told that the way to copy the .tar file over from the CD, was to use the Terminal command "cp". I can't just "Drag N' Drop" in the GUI the way it is done in Windows Explorer correct? Any tips or suggestions will be very much appreciated as I move through the install process. RE: Installing the SGI INDY - Ultra64 Development Board + N64 SDK software!! There's no reason you shouldn't be able to drag-and-drop/copy-and-paste. *nix people just tend to default to the command line, is all. (02-11-2019, 03:20 AM)commodorejohn Wrote: There's no reason you shouldn't be able to drag-and-drop/copy-and-paste. *nix people just tend to default to the command line, is all. So what is the program I use to perform this if I don't use the Terminal? For moving the TAR file? As you said, just drag and drop in the file manager. No magic incantations required. (02-11-2019, 05:47 AM)commodorejohn Wrote: For moving the TAR file? As you said, just drag and drop in the file manager. No magic incantations required. I figured as much, however I wanted to check in case a particular program had to be used. If there's one nice thing about *nix's dogmatically simple-minded approach to system structure, it's that it really doesn't make too many special distinctions like that - generally, a file is a file is a file (and, hell, even things that aren't actually files are files.) You won't get too many situations like in VMS where you can, say, unwittingly copy a ZIP archive but not whatever magical bit of metadata makes it comprehensible to the unzip program. 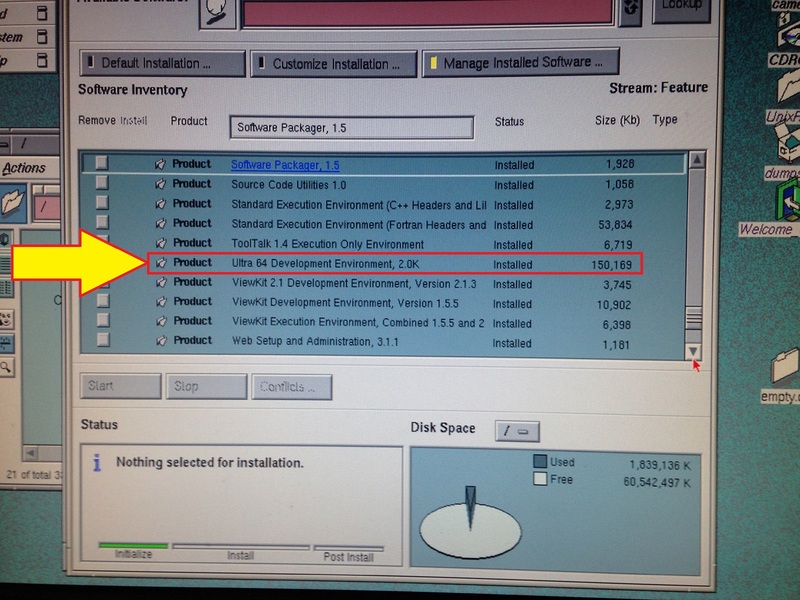 After that, you can use Software Manager to install from one of the subdirectories. Nice Thanks for the instructions.... This is great for future users to have reference to as well. So I performed the extraction and it extracted the files into the TarFiles folder I had created. So when I am using the Software manager which directory and file am I going to need to direct for the Lookup? Is it the folders that have a .sw file extension ? Appreciate all the help here. So I managed to get the N64 OS V2.0K installed which is Great!! Now, when I looked at the N64 Developers Toolkit CD whiich also has the N64 Soundtools V314 archive, I noticed that the files have a ".tgz" file extension and not TAR. I get a checksum error. Do I need to use a different command because they are .tgz and not .tar ? Or are these possibly corrupted? Some tips would be appreciated. This applies to both files obviously. I'll give this a try and see how it goes. EDIT: I found out that there is also a Windows PC version of GUNZIP called GZIP that you can use with your MS-DOS command prompt and decompress the .TGZ files to .TAR before you send them to your INDY using IRIX 5.3. Yes. Some newer archiver programs might automatically infer that a *.tgz file should be unzipped first and then untared, but IRIX tar doesn't know anything about that. Welcome to *nix-land!